We are a trusted manufacturer, supplier and exporter of digital ceramic wall tiles. We offer a wide variety of digital ceramic wall tiles which include glossy series, matt series, kitchen series, elevation series and bathroom series in 300×450 mm and 300×600 mm size. 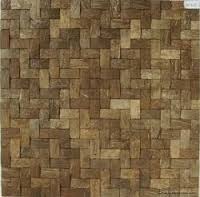 Owing to a vast industry experience, we have emerged as a giant Supplier and Exporter of Wall Tiles in Gujarat, India. Our esteemed vendors precisely manufacture them with the aid of pioneering techniques and methods. Our assortment of Glossy Series Digital Wall Tiles is inclusive of 450X300mm Glossy Series Digital Wall Tiles and 600X300mm Glossy Series Digital Wall Tiles. These Glossy Series Digital Wall Tiles are manufactured under the guidance of experts. We source these Glossy Series Digital Wall Tiles from reputed names in the domain.